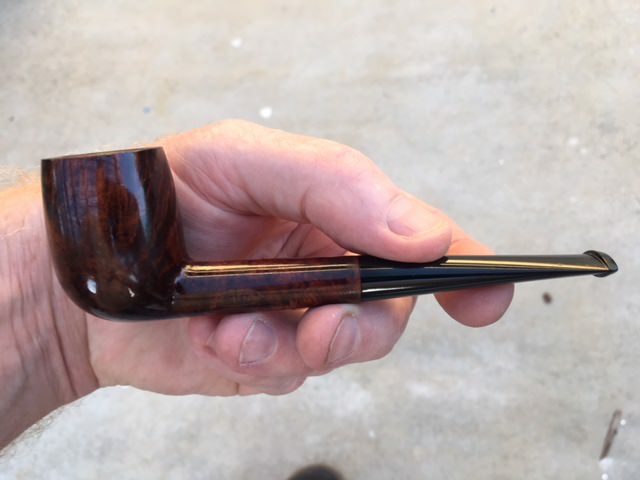 Just picked up this little billiard beauty made by SINA. I hear they might have some connection to GBD. A lower grade? I don't know but that is a super billiard! According to "Who Made This Pipe" Sina was made or sold by C.J. Verguet in France, world of difference between made and sold..
Oh my .lovely pipe !!!! !